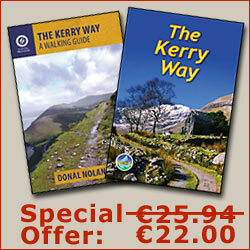 At over 200km, the Kerry Way is one of Ireland's longest signposted walking trail and also one of the most popular. 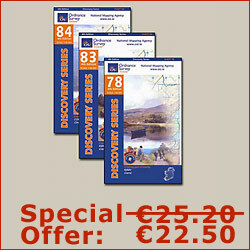 The trail starts and finishes in the busy tourist destination of Killarney. Looping around the Iveragh Peninsula, the Kerry Way goes anti-clockwise, passing through some of the most isolated and dramatic countryside in the country. In order to make this website easy to navigate, the Kerry Way has been broken down into nine different stages. Although it is quite common for people to walk the trail over nine days, this can be extremely demanding. To those wishing to make their Kerry Way experience more of a holiday than an endurance test, our advice is to allow for some extra time - either by including rest days or decreasing the distance walked each day. Anyone setting out to walk a long distance trail such as the Kerry Way is embarking on a serious test of physical endurance. Our Walking Advice pages contain some useful safety tips and pointers and we strongly recommend that everyone considering embarking on this walk should spend a few moments to read them and incorporate them in their pre-hike planning.